Eric Ginter’s decision to major in Global Studies allowed him to take his educational journey far beyond the Castleton campus. Now as an alumni, Ginter said he gained a wealth of knowledge and experience, all while having the opportunity to travel. “Castleton has helped me develop a worldview that has increased my global awareness and cultural sensitivity,” said Ginter. As a student Ginter played a large role in the creation of the Castleton Chinese Club, the first of its kind on campus. As President of the club, Ginter organized cultural events and encouraged the greater Castleton community to pursue their interest in learning about other cultures. Also a member of the University's history club, Ginter's involvement around campus kept him constantly on the go. 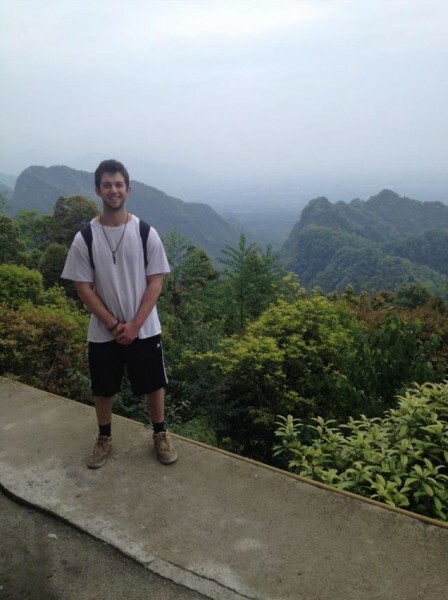 Junior year Ginter spent a semester abroad, studying the Chinese culture in Chengdu, China. His time abroad greatly improved his language skills, specifically the language of Mandarin, which allowed him to effectively communicate while in China. “I have been exposed to both ends of the social spectrum thanks to the opportunities Castleton has offered me,” he said. After graduation, Ginter plans to return to China to continue learning Mandarin, while simultaneously teaching English to locals. “After graduation, I think that I will most remember the pleasantness of the people who were involved in Castleton's community,” he said.